Priya Parmar, a former freelance editor and dramaturg holds degrees in English Literature and theatre. She attended Mount Holyoke College, Oxford University and is currently a doctoral candidate at the University of Edinburgh. She divides her time between Hawaii and London. I am at that really good point in a really good book. You know that lovely place in a hefty, long book when you are well into it but still have hundreds of pages in front of you? It is such a clear sailing, comfy feeling to roam around that space. 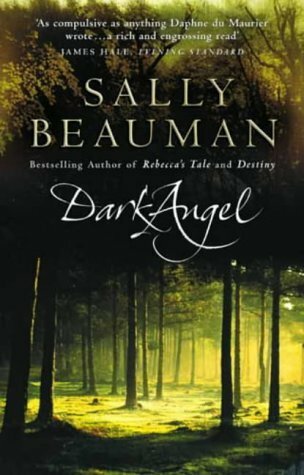 I am reading Sally Beauman’s Dark Angel just now and have three hundred pages behind me and four hundred ahead. Perfect. It is evocative, consuming, edgy and gothic novel and I was not expecting to like it so much. I picked it up because it is set in WWI and I am trying to restrict my reading to things set in the first part of the twentieth century. It is a two pronged strategy to wean me off the addictive Restoration period where Exit the Actress is set and launch me into research for my untitled second novel. I keep getting pulled back to the Restoration as I have been missing Nell Gwyn and Charles II and the uproarious libertines terribly! Visit Priya Parmar's website and blog.